A personal commitment to caring for our community so you can live your best life. 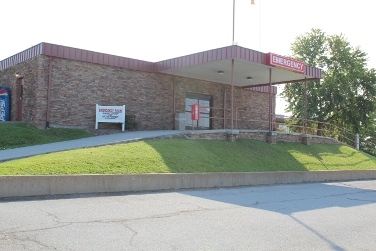 Three Rivers Hospital is a Critical Access Hospital and is dually licensed for twenty-five acute care or swing beds. Our 24-Hour Emergency Room is staffed with qualified Emergency Room physicians and consists of 2.400 square feet, including two trauma/treatment rooms and three examination rooms. Three Rivers Hospital also provides Swing Beds for those who require extended days of care and rehabilitation after an acute inpatient stay either at our hospital or another hospital. Just knowing that your loved one is being cared for just a few minutes from your home is comforting and convenient. We want to remain your Preferred health care system by providing high quality, cost effective, accessible and compassionate care that is responsive to the communities we serve. Click this link to download the Community Health Needs Assessment Report for Humpreys County Tennessee. Click this link to download the Community Health Needs Assessment Inventory Report for Humpreys County Tennessee. Government programs, such as Medicare, pay hospitals much less than billed charges. These payments are determined by the government agencies and hospitals have no ability to negotiate reimbursement rates. Commercial insurers or other purchasers of healthcare services usually negotiate discounts with hospitals on behalf of the patients they cover. Many hospitals typically have prompt payment discount policies and policies that allow low-income persons to receive reduced-charge or charity care. Remember, if you have questions about specific healthcare needs and what the charges might be for services, please contact us. Click this link to download a CSV file of the charges for Three Rivers Hospital.